It was my pleasure to meet with Shri L.K Advani on the auspicious occasion of his 50th wedding anniversary on 25th February 2015. Sir, on behalf of the entire Asha family I send you and Mrs Kamla Advani our warmest congratulations and best wishes on your golden wedding anniversary. Over half-a-century you have enjoyed a close companionship through the thick and thin of life, which indeed is very special. Wishing you many more blessed years of togetherness! 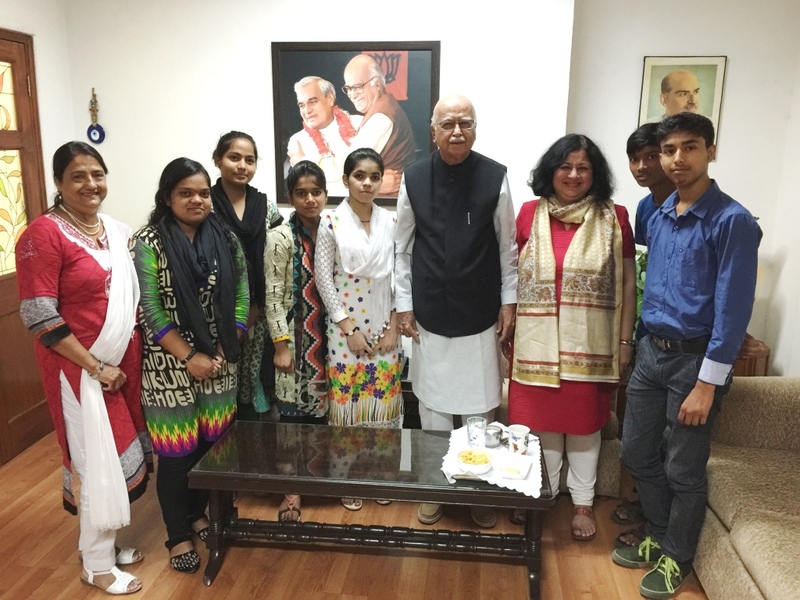 On this happy occasion, I would also like to thank Shri Advani for promising to chair an Asha event in March to celebrate the academic excellence of students from the slums. We look forward to host you, Sir! When we are on our death bed, we never wish we had bought more material possessions. We often wish we had more experiences. People talk more about their experiences than their material possessions. Material gratification goes down very quickly, whereas experiential gifts last much longer. There are so many rich and beautiful stories that come from experiences. They become a bigger part of who we are. They connect us more to others. In fact, we are the sum total of our experiences. Whenever we look back and think of what we are grateful for, we find that we are always more grateful for experiences than we are for our material possessions. Following on from my previous reflection on the power of gratitude, I would like to share my thoughts on the health benefits of gratitude. The consistent practice of gratitude has remarkable effects on our health and longevity. We have a much better sense of well being, much lower anxiety and depression levels, and higher levels of optimism. We also feel much more socially connected, and much less likely to be angry. Our sleep quality is much better. Our resting Blood Pressure is lower. Rigorous scientific research has demonstrated that our levels of good cholesterol (HDL) are raised, and those of bad cholesterol (LDL) go down. Furthermore, our Serum Creatinine levels are also kept low, keeping our kidneys in good shape. One of the best ways to practise gratitude is to keep a gratitude journal. You can write 5 things you are grateful for every day, and then notice the effects on your health and happiness levels over time. In fact, you can decide to do this as a family, and keep gratitude lists together. You can also write a gratitude letter to someone who means a lot to you. Kids can be encouraged to write gratitude letters to their teachers or mentors. I think it’s very powerful when you go to the person and read out the letter you have written. When you do this, it establishes a meaningful social connection, and that leads to an experience of joy. With kids, you can encourage them to tell you three things they are grateful for every night before they go to bed. Throughout the day, they will keep thinking of the things they are going to talk about. The practice of gratitude is therefore a skill that can be acquired through training, and yields wonderful results! 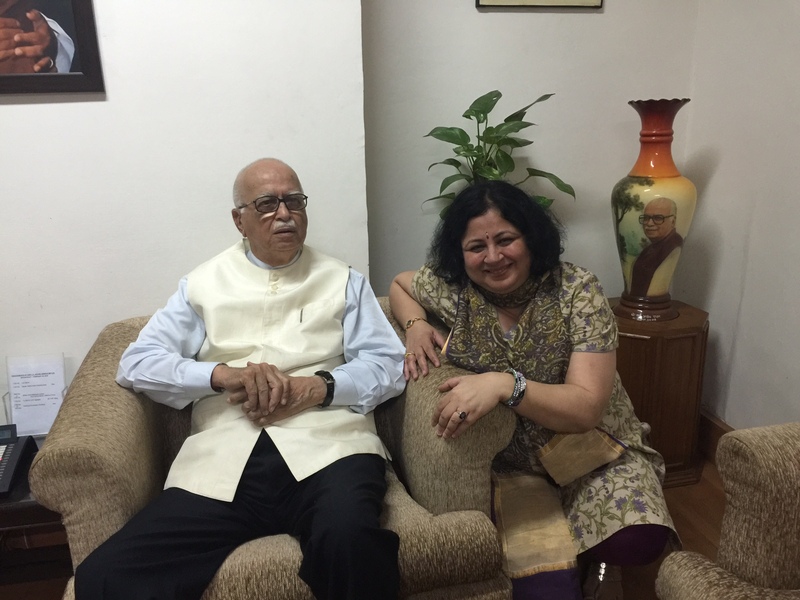 Along with an Asha student Usha, I had the joy of meeting one of the tallest leaders of the ruling party, BJP, Mr LK Advani this morning. 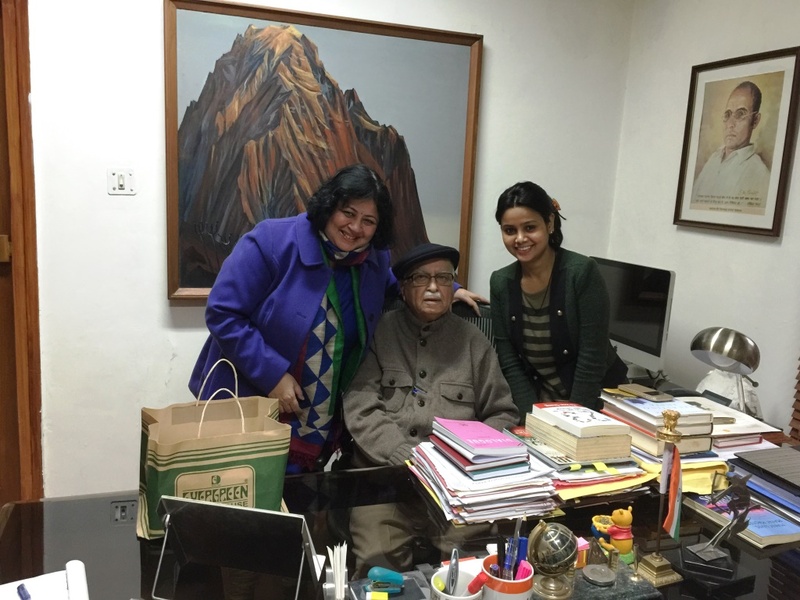 Usha and I conveyed him New Year greetings on behalf of the entire Asha family. One of India’s greatest and most highly respected statesmen, Mr Advani has been an elected Member of Parliament for the past six decades. He is a prolific writer and blogger, putting down his thoughts with great lucidity and clarity on a vast variety of subjects. 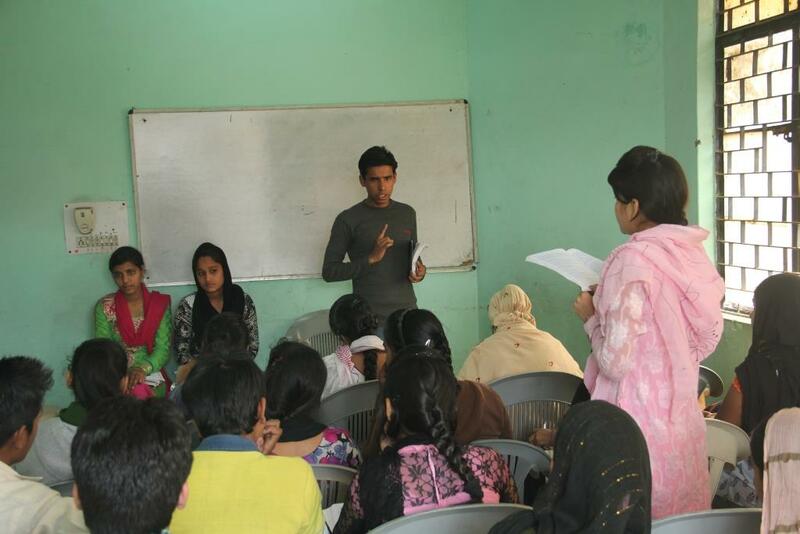 He has been a loyal supporter of Asha for the past 12 years, and is a constant source of encouragement to us all. 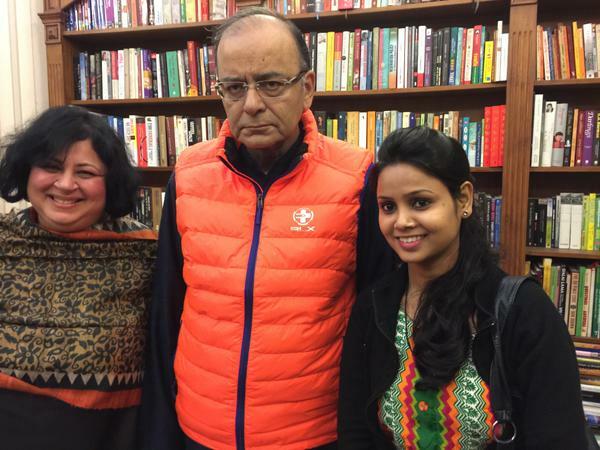 Thank you Sir for making the time to see us and for the presentation of a signed copy of your book ‘My Take’ to Usha. 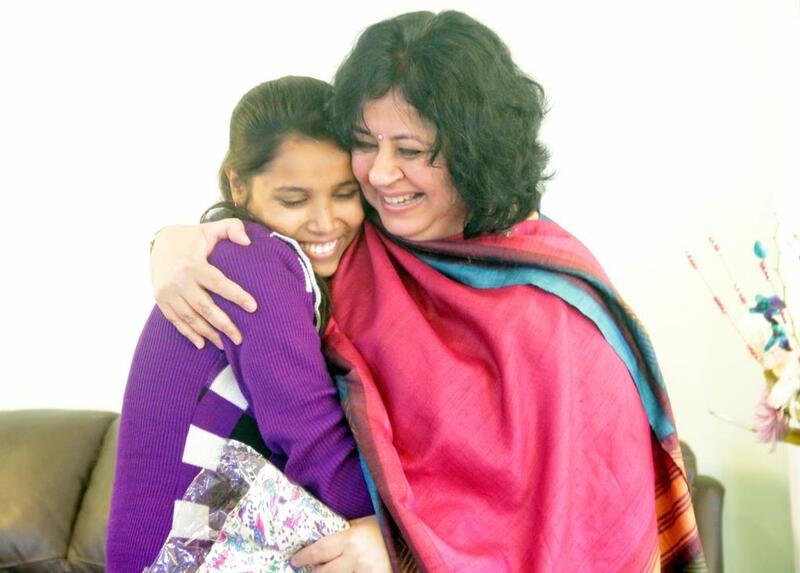 We are eagerly looking forward to your presence at an Asha event in March.